I am getting an issue which is not able to connect the 7200 router to the IOU. 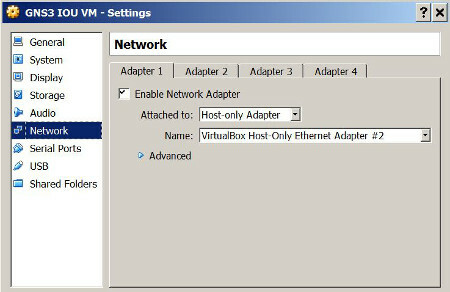 however I am able to connect IOU to IOU switch, and able also to connect 7200 router to 7200 router. how to solve the issue !?? 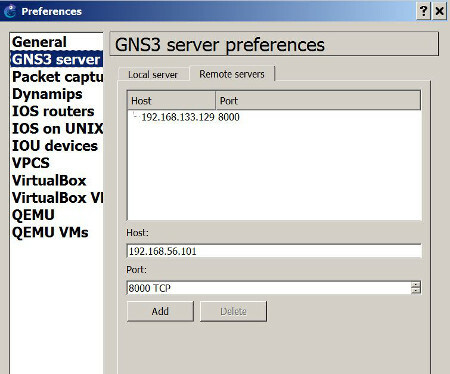 The Remote server (IOU) needs to be on the same subnet as the Local sever (GNS3-Server). Last edited by twv on Sat Oct 11, 2014 1:36 am, edited 1 time in total. do you know how to do this !?? 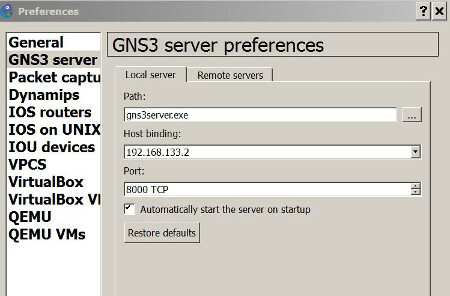 Then change the IP address in the Host Binding field of "Local server" (Edit -> preferences -> GNS3 Server) to match the IP address of the VB HOA (it should be listed in the drop down menu of the text field). If the IP address that your IOU VM is using isn't in the same subnet, change it. Just to be clear, don't assign 192.168.133.2 to your IOU VM's nic though. 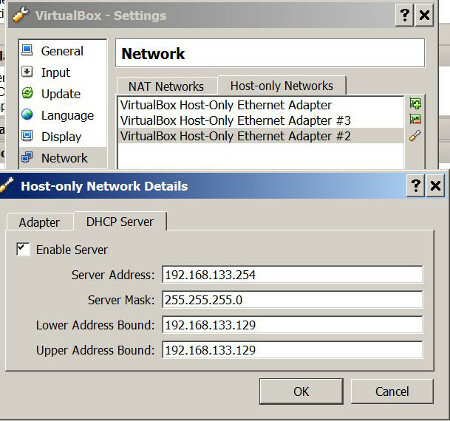 I set a VB HOA aside for the IOU and configured it to provide DHCP that only gives out one IP Address. This works for me after quite a bit of research on why my VBox VM's IOU devices weren't pingable but a VMWare test VM had no problems one configured. I hope this will help someone. it is working now, I just the settings of the local server and out it to be the same subnet of the remote server.